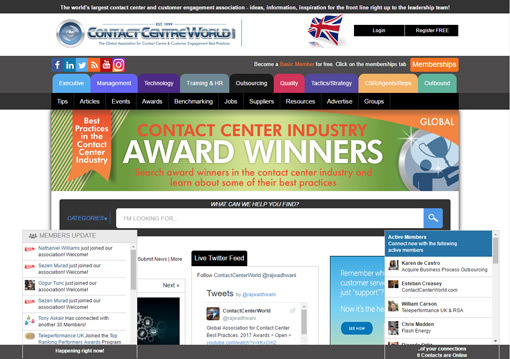 Struggling to find any information for your chosen contact centre topic? Well, of course you visit Call Centre Helper! But what else is out there? 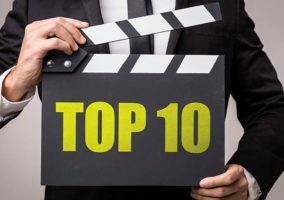 Here is our run-down of the top ten sites in the world of contact centres for you to visit on the web. 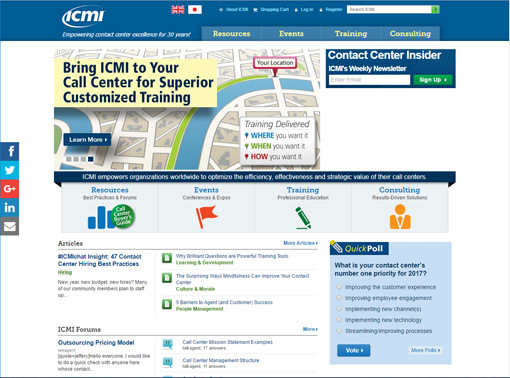 Despite being low on original articles and news stories, ICMI is unique in providing you with a catalogue of training resources, creating original events and offering contact centre consulting. Also, ICMI as a company has been running for an exemplary 30 years, the longest out of any business on this list. Interesting features include contact centre training resources, as well as voting polls and on-site Twitter and Facebook feeds. Engage Customer is a good place to visit for information involving customer engagement strategy in the contact centre. Whilst it doesn’t exactly provide you with the latest contact centre news, day-by-day, it does allow you to view some interesting video content and keep updated on the latest contact centre conferences. 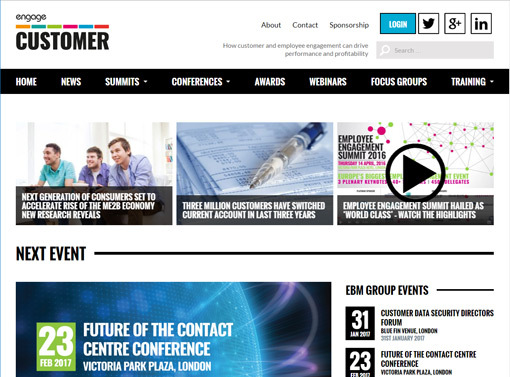 Interesting features on the site include information on their annual Customer Engagement Summit, news regarding their own “Engage Awards” and a video section. This site doesn’t exactly hinge on contact centre specifics, but it can provide interesting tips for marketing, sales and service professionals. It also frequently touches upon topics including boosting the customer experience and the customer journey, which interest many. Interesting features on the site include stat attacks (to keep up to date with some of the figures from the customer service world), blog posts and a “discuss” forum. Whilst there is not much in the way of media variety on the site, there are a number of interesting written articles, columns and blogs available. 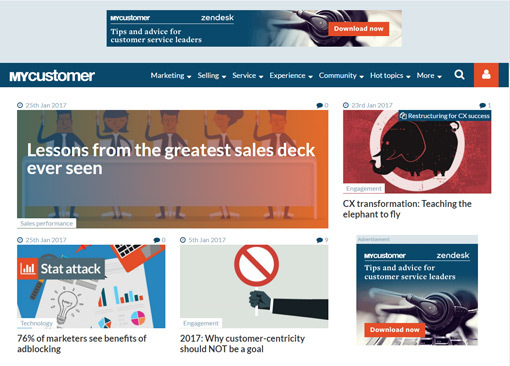 These blogs include content from customer service and experience experts Shep Hyken, Colin Shaw and Steve DiGioia, who you may recognise from posts on Call Centre Helper. Interesting features include transcripts of interviews with industry experts, e-books that are available to download and a latest news feed, covering areas such as Customer Relationship Management, Customer Experience Management and Social Business. This website comes in several different editions, depending on where you are in the world. The densely packed design of the site makes navigation difficult, but those with time to explore can soon find a network of useful forums and advice groups. Interesting features on this site include a tip of the day, an events page for the worldwide contact centre industry, and a jobs page featuring opportunities from all around the globe. Formerly callcenter-iq.com, Call Centre Week Digital provides its members with an executive report every three months, access to presentations, product demos and more. Whilst some of its offerings haven’t been updated in a significant amount of time (for example, its most recent podcast was three years ago), there is a lot of variety in its content. Interesting features that have not been mentioned above include occasional webinars and articles, as well as worldwide event information. 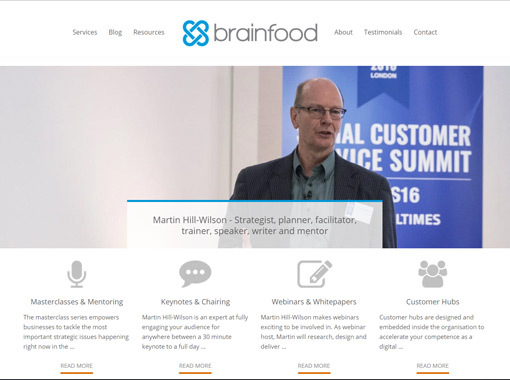 This is the website of Martin Hill Wilson, an independent consultant who has an impressive record in customer engagement strategy and implementation. Here, Martin has a platform to write expert blogs, as well as promote how he can help businesses in the customer engagement industry through masterclasses, mentoring etc. Interesting features on this site include original webinars and white papers, a number of useful resources including slide decks, as well as a page publicising in-house events. 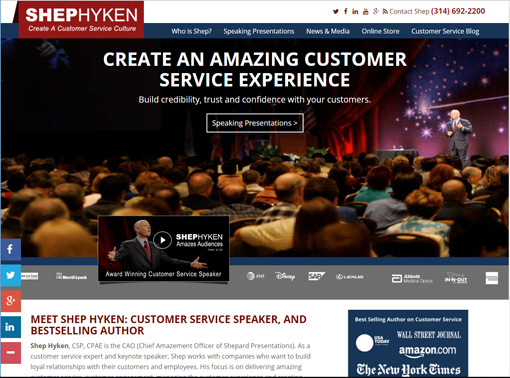 Created by customer service speaker and best-selling author Shep Hyken, this site provides you with top customer service advice for the contact centre and much further afield. 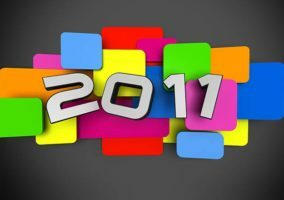 This advice comes in the form of blogs, a newsletter and video posts, through links to Vimeo. Interesting features include copies of TV and video interviews (together with his appearances on NBC, CBS and USA Today), his customer service blog posts and an online store to buy his award-winning books. 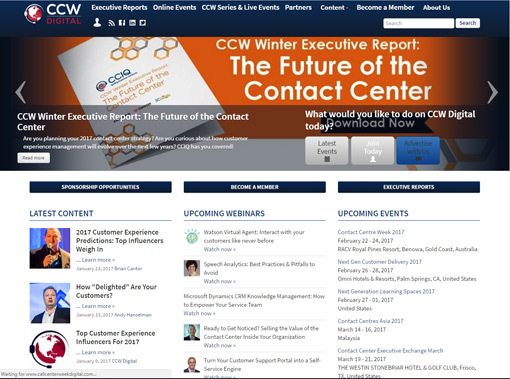 It may not sound like the name of a website dedicated to improving the contact centre, but this is an interesting place to discover the latest information on building great customer experiences. Whilst it is more than just a blog feed for Colin Shaw, a respected author in the customer experience industry, these blogs include real insight into customer loyalty, retention, journey mapping and more. 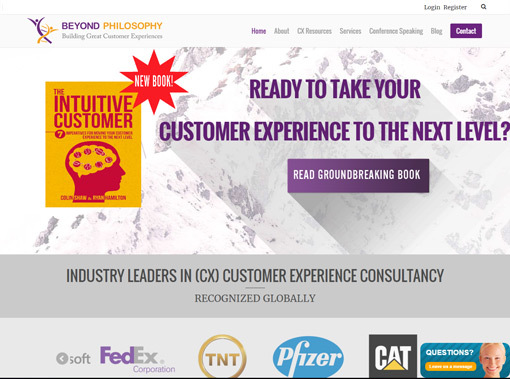 Interesting features, apart from this blog feed, include a bookstore that is tailored to the customer experience field, webinars and original research reports. This website may not have as much going on as the others on our list, but, similar to Beyond Philosophy, it does have a thriving blog feed. 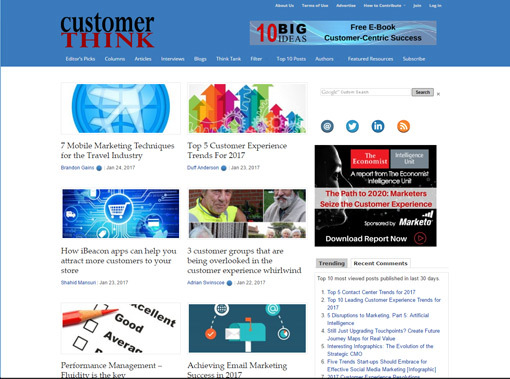 The blog feed has recently included topics such as the customer experience, employee engagement and personalising customer interactions, to name just a few. Interesting features on this site include blog posts that sometimes contain audio interviews with industry experts, invitations to workshops and an introduction to Adrian’s consulting and coaching masterclasses. As the well-established leader in the contact centre arena, in terms of number of users and page views, why not include ourselves? 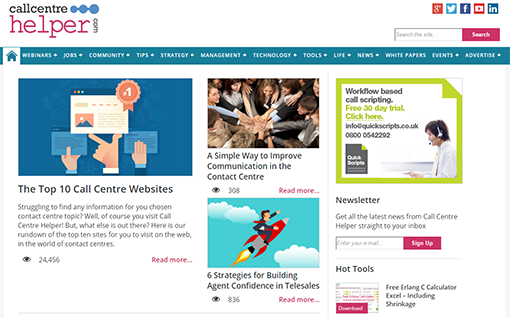 As well as the usual news stories, blogs and extensive features (some of which have over a million page views), there are a lot more exciting pieces to find on our site, many of which have not been attempted by our fellow contact centre enthusiasts. Interesting features include frequent webinars, which consistently have over 200 people registered, with a live chatroom, a selection of free to download tools (including an Erlang C calculator, multichannel simulator and shrinkage calculator) and a thriving jobs page. Other (also interesting) features include: a contact centre abbreviations list, jargon dictionary, manifesto, white papers, an events page, a forum, a newsletter and more. So, how can you decide which is the best website to visit? The simple answer would be to try them all and see which one you like best, but there are other sources that can provide you with guidance. So, here is a table created with Alexa data, for each of the websites noted above, with the lower ranking signifying a stronger result. 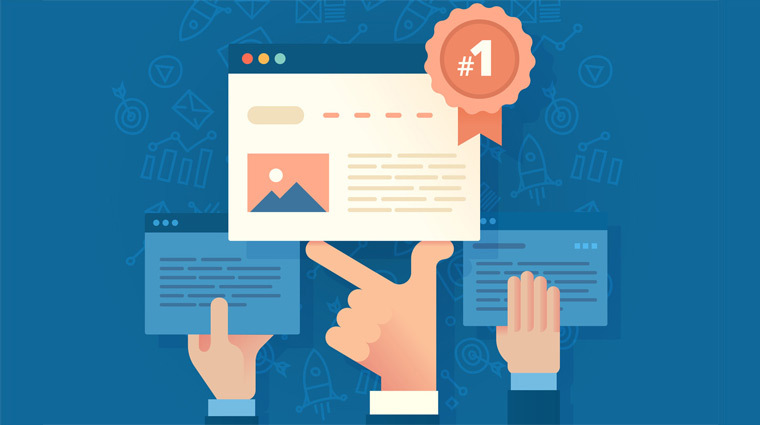 So, perhaps it may be easier to pick a few of the highly ranked sites, but bear in mind, sites such as Adrian Swinscoe’s and BrainFood Extra would expect a lower ranking as they do not have large teams constantly working to provide and update content. So, what did you think of our list? And are there any more sites that you would have included in our list? Please leave your thoughts and responses in an email to Call Centre Helper. Originally published on 20th February 2008. Recently updated. Its was pleasure to see all the top call center related sites at one go. You’ve left out the most interesting, zany and dynamic call centre website there is. But there again I might be biased……. This is not really the place for free advertising for your company.